You absolutely do want to talk about yourself and your interests, however, be sure to listen to everything that your potential mate says. When you are listening, you appear that you care, which you do, but she will not wonder whether you care or not. When you are around your potential partner, you will want to be polite to others. For instance, if you are taking her out for dinner, be sure to be polite to the waiter or waitress by saying please and thank you, and don’t get impatient either. Politeness is a big turn on! Any girl will be attracted to a guy that smiles and laughs. But when you laugh, be sure to laugh at anything that is truly funny. Never mock anyone or talk behind anyone’s back. That will be a big turn off for her. Do you want to make a good impression for your potential mate? Then you will want to offer to help in ways that you can. For instance, if she is having a rough time with a family member that is ill due to the fact that she has to take time off of work and run errands, lend her a helping hand. Tell her that you will pick up some groceries for her when you are shopping. Anything that you can offer will not make her question whether you are a nice guy or not. 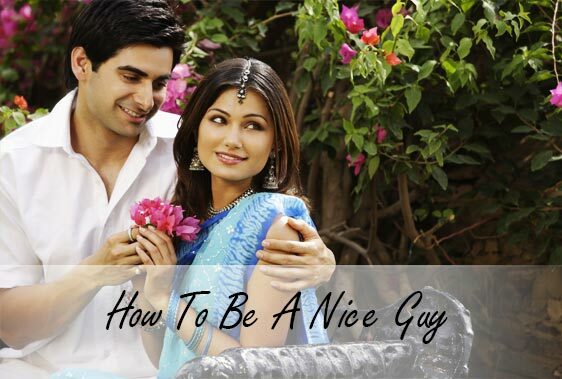 Since you are on our Indian marriage website looking for the girl of your dreams who you plan to spend the rest of your life with, you now know how to be the nice guy.